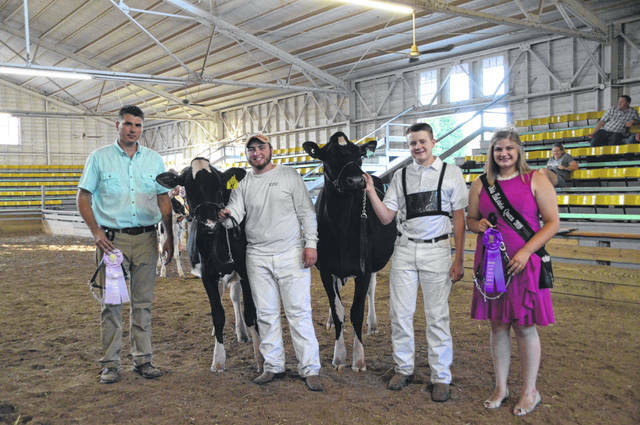 WOOSTER — A 2-year-old Holstein shown by Logan Topp, of New Bremen, won Grand Champion and Intermediate Champion in the junior show at the Wayne County Fairgrounds during the District Holstein Show on July 9. 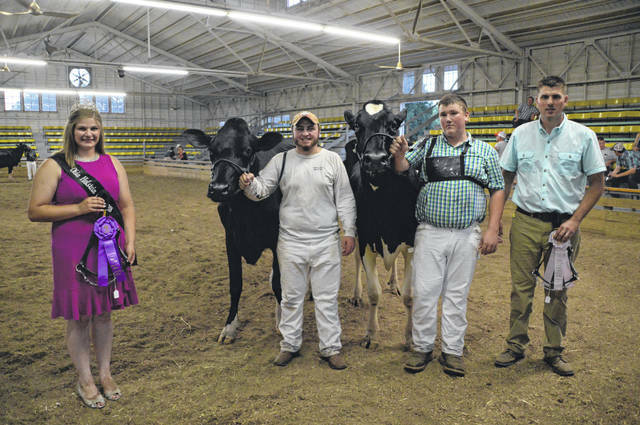 Logan, Brennan and Marissa Topp also showed another 2-year-old cow, Toppglen Atwood Windstar, which was the Reserve Intermediate Champion in the junior show, sired by Maple Downs IGW Atwood and another animal they showed received an honorable mention, Toppglen Awesome Wildflower, sired by Luck-E Awesome-Red. 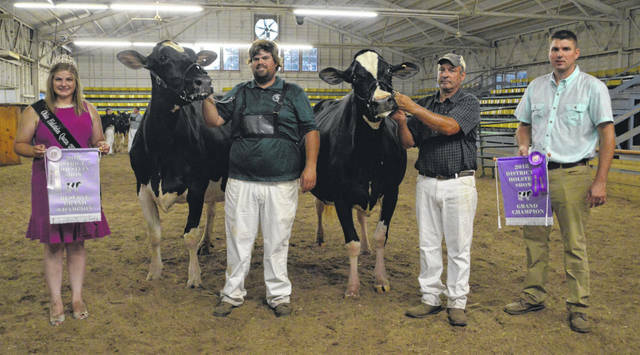 Toppglen Holstiens, Brennan, Marissa, Logan Top and family received the Premier Breeder and Premier Exhibitor awards.